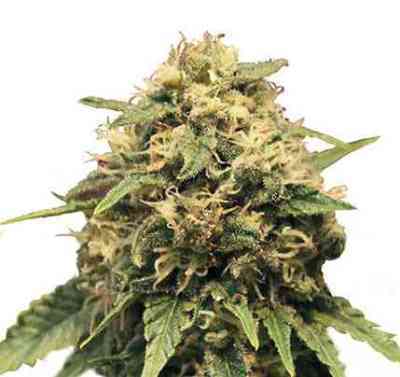 Magic Bud is a fine blend of Indica and Sativa. This plant produces beautiful resin coated nugs in a relatively short time, approximately 56 days indoors. Her appealing velvet looks during flowering are a pleasure for the eye, and you have to be careful that you (or your friends) do not give into the urge to cut of a branch before she is fully ripened! Your patience will be royally rewarded with very tasty aromatic buds. It´s a pleasure to see this plant grow in your garden. Because of the somewhat bushy growth patterns, a little more space will show the full potential of this plant. The yields are medium to high and with the short flowering time and excellent quality she is the perfect choice for a successful crop. When dried and cured the Magic smokes smooth with a pleasant floral aromatic taste. The body relaxing effect combined with a strong potent high is magical, you will feel at ease with everything you do.